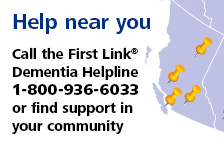 Scotiabank Vancouver Half-Marathon & 5K | Alzheimer Society of B.C. The Scotiabank Vancouver Half-Marathon & 5k returns on June 23, 2019! This year marks the Alzheimer Society of B.C.’s 12th year participating in the Charity Challenge at the event, and we’re excited to be back. If you have not participated in this challenge before, we encourage you to take part this summer. Whether you’re a runner or a walker, the challenge is open to everyone, regardless of fitness level. The Scotiabank Vancouver Half-Marathon & 5k is a great way to get active while doing something meaningful for the community. Join the challenge as an individual or as a team to help support people affected by dementia while having fun with family and friends along the way. Funds raised from the Charity Challenge will help provide programs and services for the estimated 70,000 British Columbians living with dementia and their families. Funds also aid in advocacy efforts to create a more dementia-friendly society, while enabling research into the disease and people living with it. If running or walking a half-marathon or 5k isn't for you, you can always volunteer at the race! We are always looking for energetic volunteers to cheer on the runners along the route. To register for the Charity Challenge or make a donation to the Alzheimer Society of B.C. 's team, click here. For more information, including how to receive a charity discount code to save on registration, email Glen Mountfield at gmountfield@alzheimerbc.org.